Ayres originally joined the company under the Divisa brand back in May 2018. Equiti Capital, formerly known as Divisa Capital, today announced the promotion of Michael Ayres — its current Chief Operating Officer — to its board of directors. Ayres stepping into this enhanced leadership position comes barely two months after Equiti Group’s institutional prime brokerage arm has rebranded to Equiti Capital UK. Ayres had originally joined the company under the Divisa brand back in May 2018, when he was appointed as the Chief Risk Officer. And after less than four months, he was promoted to Chief Operating Officer for its UK operations, replacing Arik Oslerne, who stepped down from the position in July 2018. 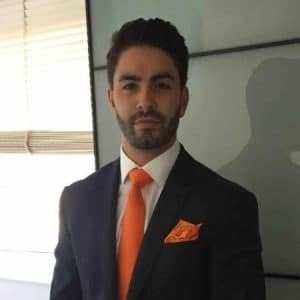 Prior to Divisa Capital, Ayres, who has over a decade of experience in the forex industry, was the Director of Operations at UK-based CFDs broker and spread better GKFX. He served with GKFX for more than five years, starting from November 2013 until he left for Divisa last year. Ayres’s career encompasses other stops with big names in the FX space including stints at FXCM from 2008 to 2010, before moving to now-defunct Alpari UK where he stayed for more than three years. He kick-started his career in 2008 at ODL Securities LTD where he worked in the forex operations/middle office. According to its recent filings, Equiti Capital UK has managed to almost quadruple its revenues in 2018 from a year ago, coming in at £17.95 million. This figure reflected an increase of 285 percent from the company’s 2017 fiscal year, which achieved a turnover of £4.67 million.